Do you think gas prices will hit $4 a gallon in 2011? 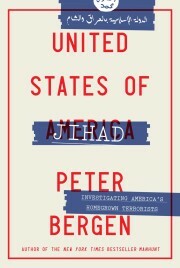 Peter L. Bergen was one of the first Western investigative journalists to cover Osama bin Laden and al Qaeda in the late 1990s, and then he published two best-selling books and numerous articles about what became the world’s most dangerous terrorist organization. As one of CNN‘s top analysts on al Qaeda, he also files reports from the conflict regions where al Qaeda operates. “The Longest War” is Mr. Bergen‘s magnum opus. It is a well-written history of the terrorist insurgency by al Qaeda and its affiliates against their adversaries, led by the United States, and the responses by America and its allies. Mr. Bergen‘s book is divided into two parts, with the first, “Hubris,” tracing what he terms al Qaeda‘s miscalculations of how America was likely to respond to Sept. 11, as well as other attacks, while the second part, “Nemesis,” discusses how America learned from its initial mistakes in Iraq and Afghanistan, enabling it to regain the initiative in the long war against this persistent terrorist adversary. Al Qaeda is still “capable of dealing lethal blows around the world,” Mr. Bergen writes, because of its success in reconstituting itself from its previously centralized and hierarchical organization, headquartered in Taliban-ruled Afghanistan, into a hybrid, smaller and more “nimble” network hiding in Pakistan‘s tribal regions and forming alliances with like-minded terrorist networks in Iraq, Yemen, Somalia and North Africa. It also exploits new technologies such as the Internet, Mr. Bergen adds, to spread its extremist Islamist propaganda to an ever-widening audience of “self-radicalizers” around the world, especially an impressionable minority of young Muslims in Western Europe, the United States and Canada. Examples of hybrid terrorist plots and operations where Western “self-starters” had some contact with al Qaeda operatives, including traveling to Pakistan to be trained by them, include the March 2003 Madrid train bombings, the July 2005 bombings of London’s underground trains, the summer 2006 aborted plot by an English cell to place liquid bombs on board airliners destined for America, Najibullah Zazi’s 2009 plot to bomb the New York City subway system and Faisal Shahzad’s Taliban-directed effort to set off a car bomb in Times Square in May 2010. First, many of the victims of its attacks are Muslim civilians, which “is a real problem for al Qaeda as the Koran forbids both killing civilians and fellow Muslims.” Second, no “positive vision of the future” is offered by al Qaeda and its allies, so there is no way of knowing “what [bin Laden is] really for.” Third, al Qaeda‘s refusal to compromise limits its potential to become a political movement. Finally, its fanatical rejection of other beliefs keeps increasing the size of its collection of enemies. That’s the good news. The bad news is that a sufficiently large pool exists for new adherents and recruits around the world to join al Qaeda‘s terrorist warfare, making its threat a continuing national security concern. Aside from a quibble about only providing citations at the end of the book rather than in the text itself, “The Longest War” is essential reading for understanding the magnitude of the threats posed by al Qaeda and its affiliates. Joshua Sinai is an associate professor for research, specializing in counterterrorism studies, at Virginia Tech (National Capital Region) in Alexandria, Va.